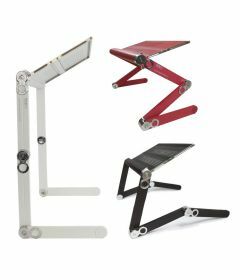 How does prolonged sitting cause you bad posture? It's been told that standing posture is key to a healthy well-being, but for what reason? A study by the Harvard and the Columbia University showed that by standing more, 45% of individuals tested had improved posture! It's that simple, we start standing more! Today’s working environment compels us to work in front of the computer while sitting for long hours. It is fairly easy for us to lose our focus and neglect our posture especially when we are tired. 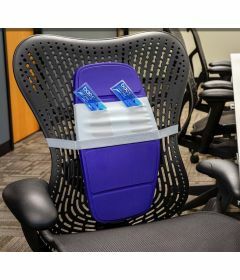 Sitting for a long period will put a strain on our spine and translate to aches and chronic pain. Aside from being active during the entire day, here’s how you can greatly improve your stance just by standing. 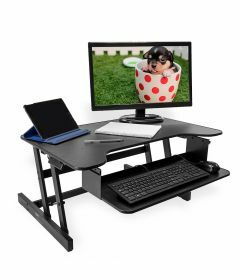 Have better Posture by standing! Sitting for a long time will not only invite a variety of ailments, your alertness level will also drop since you are sitting too comfortably. Standing, on the other hand, will make you feel powerful. Body language is being used for a long time as a form of expressing power by assuming different postures. The way that we stand can also affect the release of hormones in our bodies. Standing in good posture also allows you to be in total control and avoid taking unnecessary risk. Based on the study of the Harvard and the Columbia University, at least 45% of individuals who stands in a powerful posture will not take the risky bet. So in case, you are planning to improve your posture, where do you think you should start? 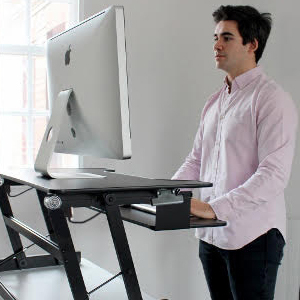 You can start by standing during your work! 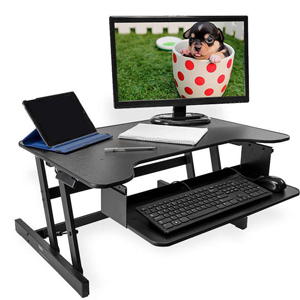 A Standing Desk would be a great addition to your work station. It will not only empower you and increase your productivity, but it will also help you eliminate the risk of acquiring lifestyle diseases such as heart disease and diabetes. 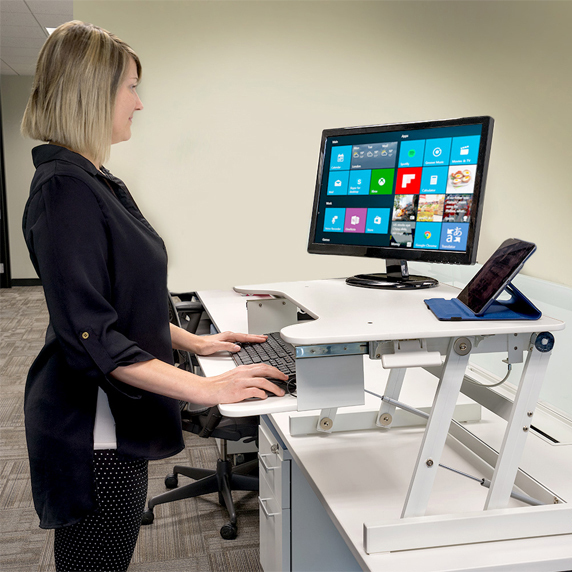 Alternating between sitting and standing throughout the day evenly will influence weight loss, studies have shown that for every hour standing compared to sitting, 30-60 extra calories are burned! Soreness and stiffness in the back will be a thing of the past! 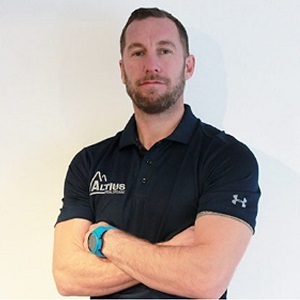 Painkillers are no longer necessary to improve your condition; drug free medical devices such as Posture Braces are also available, providing additional support whilst at the gym, or even at home. Standing in a proper manner is a powerful way to strengthen our core muscles and assist in supporting our lumbar spine. Any weakness in this area will translate to poor posture. 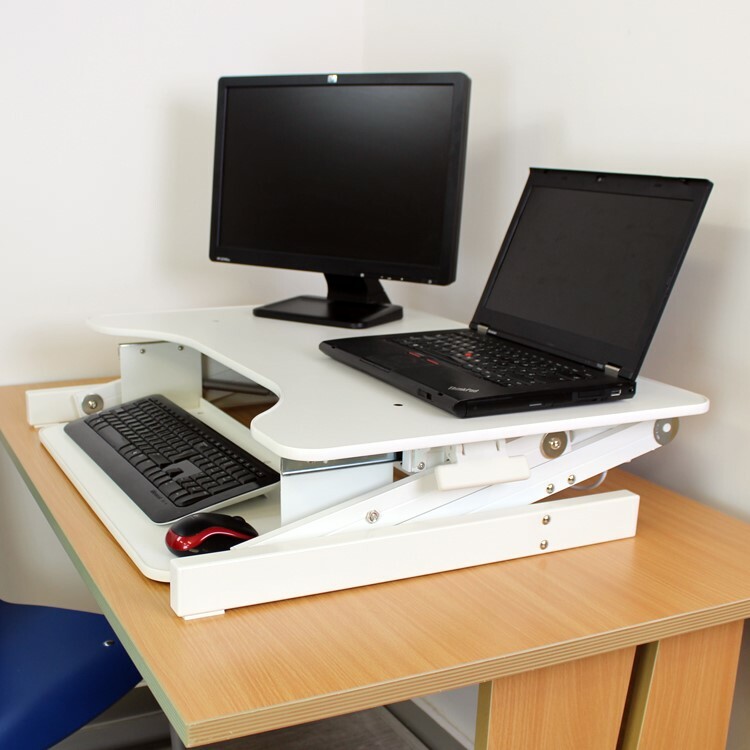 The Standing desk also allows the spine to relax and with the natural curvature enabling us to maintain a better stance. When you stand for a long period at work, your position will greatly improve. You will be forced to keep your back straight during the entire duration, and you will be more confident in finding solution with common issues. Most of the exercises in the gym are executed while standing, but why? Standing allows you to build the desired muscle mass in the right area. In addition, your core strength will also be enhanced and you will burn calories much faster. But we are not recommending you to just shift immediately from your usual sitting position to the standing position. Gradually incorporate this into your habit and allow your body to adapt to the changes slowly. Start by practicing for a few hours and gradually increase the time as your develop your posture. For more information, check out our Impact of sitting blog! 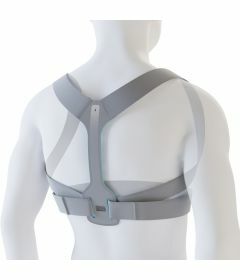 Also by visiting Backpainhelp, we have lots of great products and more information to help you improve your posture!